The future is ready for its close-up. 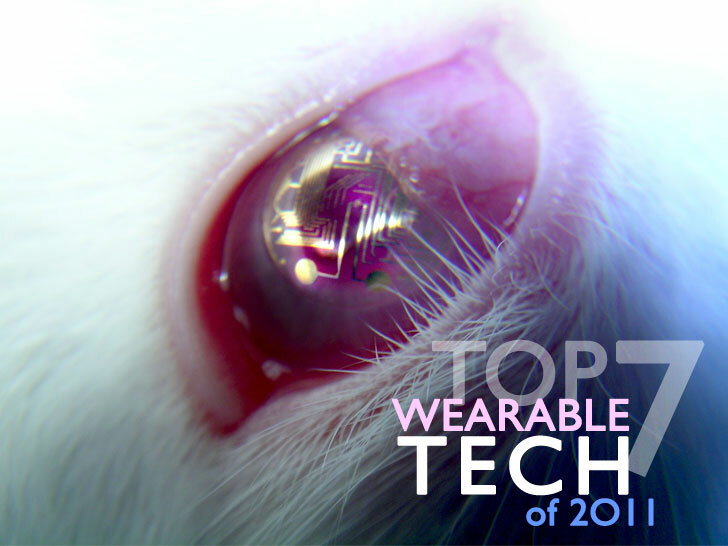 From contact lenses that give you Terminator-style vision to a field of jeans that purify the air around them, we've rounded up the year's most cutting-edge concepts that are shaping the world of tomorrow today. Cast your vote for the next big thing below! No Jetson-esque flying cars here, but you’ll find plenty of wearable technology concepts our archives. Hospitals may soon have a new, noninvasive way to track the health and movements of their patients. Researchers from la Universidad Carlos III de Madrid have developed an “intelligent T-shirt” that not only monitors vital signs in real time, but also locates individuals on hospital grounds within a 2-yard margin of error. The washable garment comprises a GPS unit, a thermometer, and an accelerometer that determine a patient’s temperature, relative position, and level of physical activity, as well as electrodes to measure and record bioelectric signals. Temporary tattoos may soon be more than simple novelties. Equipped with ultrathin, self-adhesive electronics, an interim tramp stamp could also monitor heart rates, brain waves, and muscle activity without bulky equipment, conductive fluids, or messy glues. The so-called “epidermal electronic system” incorporates miniature sensors, LEDs, teeny transmitters and receivers, and networks of wire filaments to create a new class of microelectronics that is not only virtually weightless but also requires little to no power. Go ahead and pump up those jams, because a new technology that turns sound into electricity is about to revolutionize musical festivals everywhere. And the magic begins in your T-shirt. The high-tech tee, which debuted at England’s famed Glastonbury Festival in June, takes amplified acoustics and converts them into a steady charge, enough to charge your cellphone or portable device. This is no ordinary assembly of fine dungarees. Part of an ongoing project that explores the possibility of crowdsourced environmental remediation, "Field of Jeans" comprises the world's first-ever air-purifying denim. The secret? A photocatalyst on the surface of the fabric breaks down airborne pollutants when it’s exposed to light, resolving them into harmless chemicals that slough off in the wash.
Scientists across the United Kingdom are working on a solar-powered kit that could lighten the load of soldiers—and, more important, increase their mobility—by up to 50 percent. Developed by a team of university researchers, with funding from both the Ministry of Defence and the Engineering and Physical Sciences Research Council, the new uniform will use photovoltaic cells to harness the sun’s energy, as well as thermoelectric devices to turn temperature differentials into electricity.